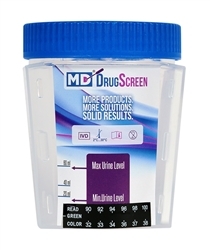 The Lab Market DrugScreen test cup is a onsite 14 panel CLIA Waived drug test cup that detects EDDP. This 14 panel drug test cup will provide results in 5 minutes less not requiring 24 hours or more which is the case with laboratories. This CLIA Waived drug test cup is kind to your budget, pricing is competitive and our approach makes The Lab Market DrugScreen 14 Panel Cup the best choice to test for 14 drugs. 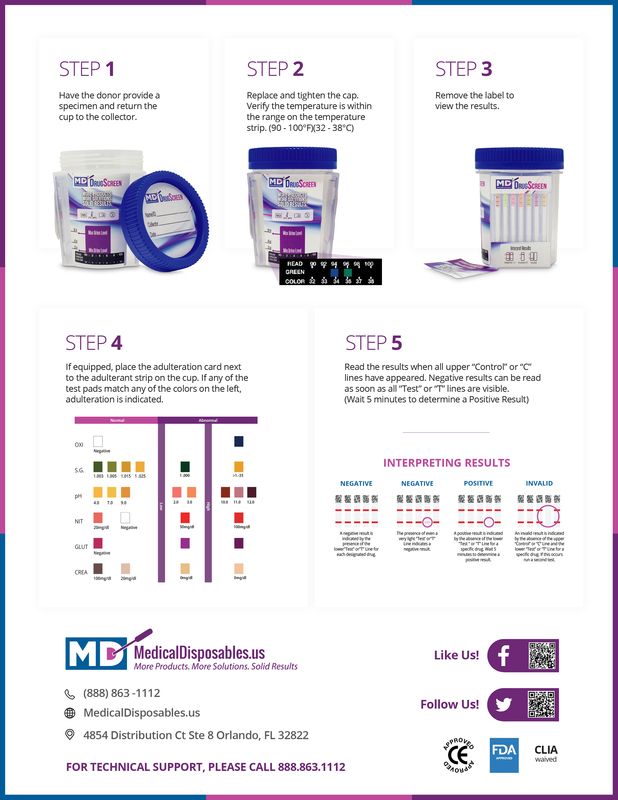 A durable choice our test cup has a full 16 -24 month shelf life which provides greater flexibility to your drug testing program. BULK PRICING - The more you buy the more you save and we will beat any 14 panel test cup pricing in the market.